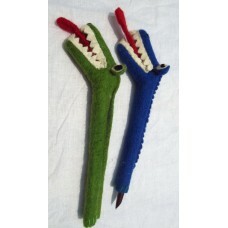 Felt Crocodile Pencil Holder is Hand Made in Nepal. It is made by sheep wool. It is used to cover the pen/pencil. Available in different colour.